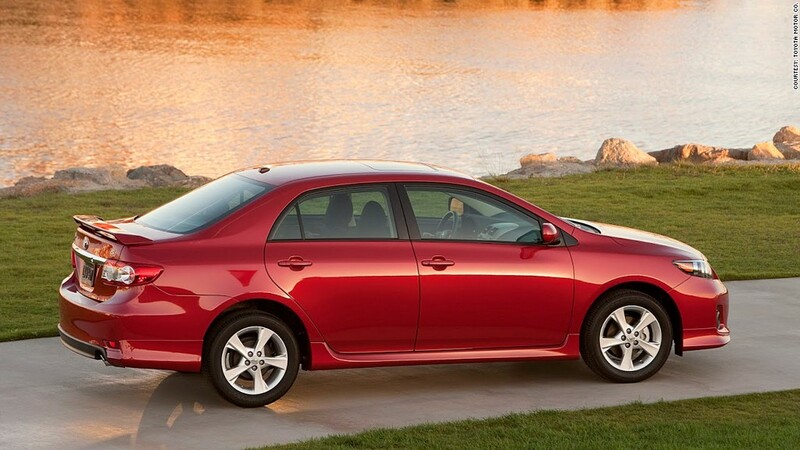 Toyota tops Consumer Reports' latest survey of auto brand perceptions. Toyota, Ford and Honda came out on top in Consumer Reports magazine's latest survey of brand perceptions. The magazine asked a random sampling of Americans what auto brands they thought highly of in seven different areas: quality, safety, value, performance, design, technology, and environmentally friendliness. The Toyota brand had dropped in the survey in recent years, in the wake of unintended acceleration issues and recalls, but the brand has come back strongly. Toyota's parent company, Toyota Motor (TM) Corp., which also makes Lexus and Scion brands, also returned to the top of the global sales charts last year. Second and third place finishers Ford (F) and Honda (HMC) have also been perennial leaders in the survey. Respondents weren't given a list of car brands to choose from. Instead, they were simply asked to name car brands, off the tops of their heads, that they felt were best in each area. Car brands were then ranked by the total number of mentions overall. Not every car brand is doing better in the minds of car shoppers. "This past year brought stability and increased sales to much of the automotive industry. Yet, the brand awareness scores for some like BMW, Buick and Hyundai have declined," Consumer Reports on-line editor Jeff Bartlett said in an announcement. The weakest brands, in terms of consumer perceptions were: Mitsubishi, Scion (Toyota's youth-oriented brand,) and Chrysler's Ram truck brand. While these survey results show what people think of the various car brands, there is often little relation between these perceptions and reality, according to Consumer Reports. Volvo, for instance, ranks high for safety among car shoppers but, in reality, many other brands do just as well in crash tests and offer as many, or more, safety-related features, the magazine said. The survey also showed that quality and safety were the most important factors to car shoppers. Environmental sensitivity was much less important.